The Blohm & Voss Ha 137 was a German ground-attack aircraft of the 1930s. It was Blohm & Voss' entry into the contest to equip the re-forming Luftwaffe with its first purpose-built dive bomber. 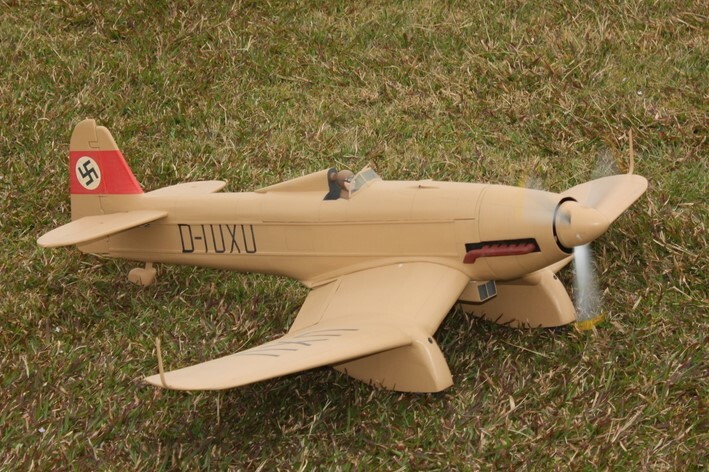 Although the contest would eventually be won by the Junkers Ju 87, the Ha 137 demonstrated that B&V's Hamburger Flugzeugbau, not even two years old at this point, had a truly capable design team of its own. One Ha 137 single-seat prototype competed against the Henschel Hs 123 at Rechlin. 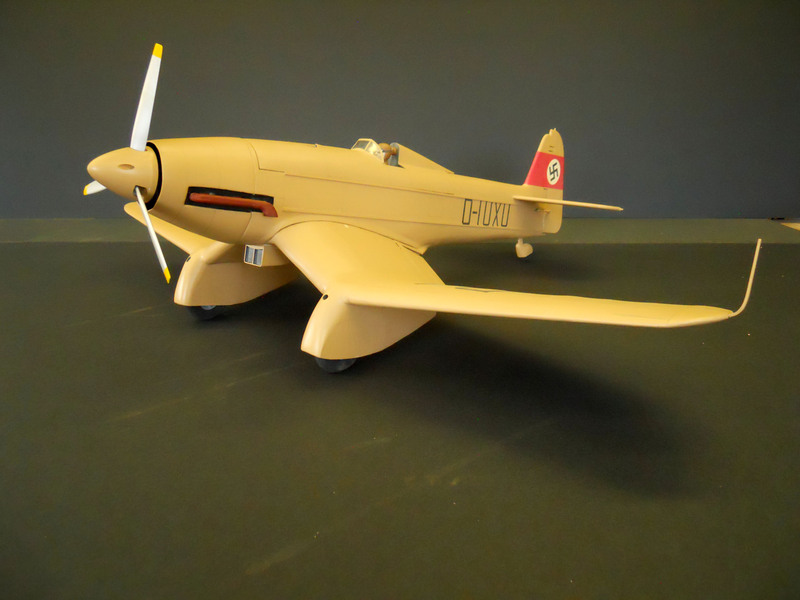 Bill Bradley has re-created the pre-WWII dive bomber as a 44" 1:10 scale model. 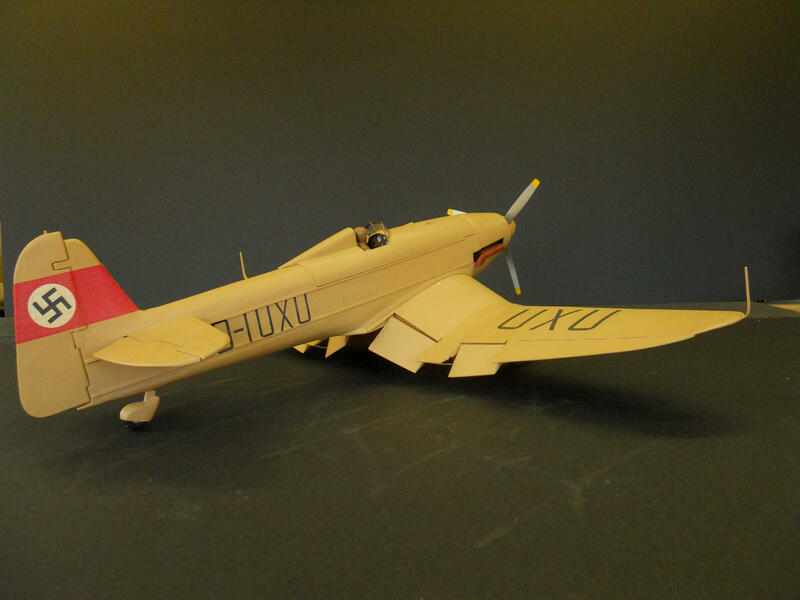 This short kit contains 5 sheets of super-detailed printed plans, laser-cut balsa and plywood parts, and a vacuum-formed cowling. Motor- Turnigy D3536/6 1250 kv. Prop - Master Airscrew 11 x 6 3 blade.